THE NATURAL SETTING TO SAY “I DO” E XQ U I S I T E B A L L RO O M W I T H PA N O R A M I C L A K E V I E W S . . . E X PA N S I V E B L U E S TO N E T E R R A C E S . . . INDOOR AND OUTDOOR FIREPLACES... 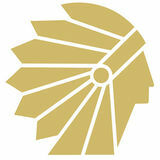 The Lake House at the Indian Trail Club, established in 1959, is located in beautiful Franklin Lakes NJ. This magnificent property is situated on Franklin Lake, a 100 acre, spring-fed lake that provides unmatched beauty and tranquility. Just 25 miles from NYC, the Indian Trail Club is conveniently located to the tri-state area, hotels and surrounding airports. V E R S AT I L E A N D S O P H I S T I C AT E D C U I S I N E Our Executive Chefs and their culinary team will provide you and your guests with the freshest and most flavorful cuisine. You will find many delicious options to choose from to give your day your own personal touch. At the Lake House, attention to detail is paramount. We host only one wedding a day, so the facility will be yours exclusively, giving you the personal attention you deserve. 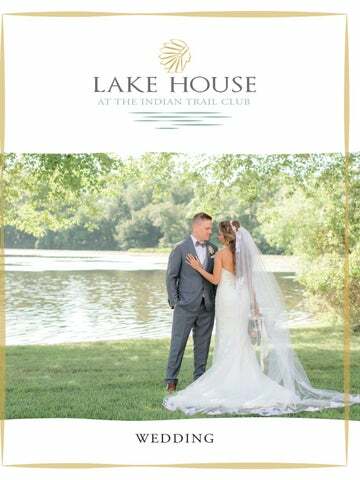 M A K E T H E E V E N T Y O U R OW N Have your ceremony lakeside, enjoy cocktails on the terrace and in the spacious bar and celebrate your reception in the elegant ballroom. Take pictures in the many beautiful and unique settings that only mother nature can provide. S TAT E - O F - T H E - A RT TECHNOLOGY We offer use of multiple projection screens, surround sound with wireless audio integration, and portable viewing monitors. Sirius XM music; Direct TV, PC/MAC, ipod, CD, & DVD compatible. S TA RT P L A N N I N G Y O U R ONE- OF -A-KIND EXPERIENCE Call Debbie at 201-891-4480 ext: 629 for an appointment and tour. Once your decision is made, she’ll provide all the information you need to make the day special. A private country club, open to the public for catering.